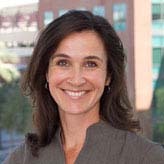 As Director of the Global Consortium for Sustainability Outcomes, Jenny collaborates with the leadership team, sustainability scientists and scholars, and other institutions to foster interdisciplinary global collaboration on sustainability solutions. Trained as a scientist, Jenny went to law school to pursue public policy solutions to address environmental issues. Before coming to Arizona State University, Jenny worked for more than a decade in the non-profit and public sector. She worked at the national legislative level for Earthjustice, with a particular focus on the Endangered Species Act. She has also worked at the state level on habitat protection issues in the Pacific Northwest, and implementing community health initiatives in New England.